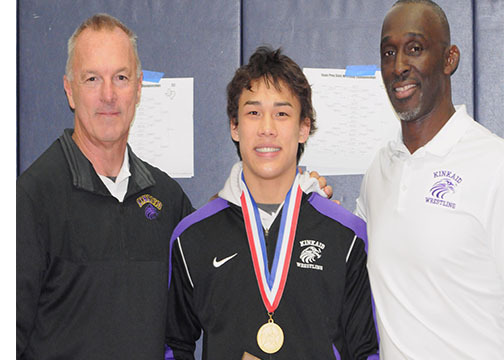 This week’s wrestler of the week is Noah Chan, junior from The Kinkaid School in Houston. Recently. Noah was named MOW at Prep State, where he won the 152 lb weight class. Currently the no. 6 ranked P4P wrestler in the state, Noah is no stranger to success. This is third Prep State championship and his record is 30-0. As a sophomore, he went 40-1 and placed 3rd at Prep Nationals. As a Freshman, he went 42-4 and finished top 12 at Prep Nationals. El Paso Franklin Coach is Stepping Down.